"The chalet Alaska is a large, sociable chalet with a cracking hot tub. 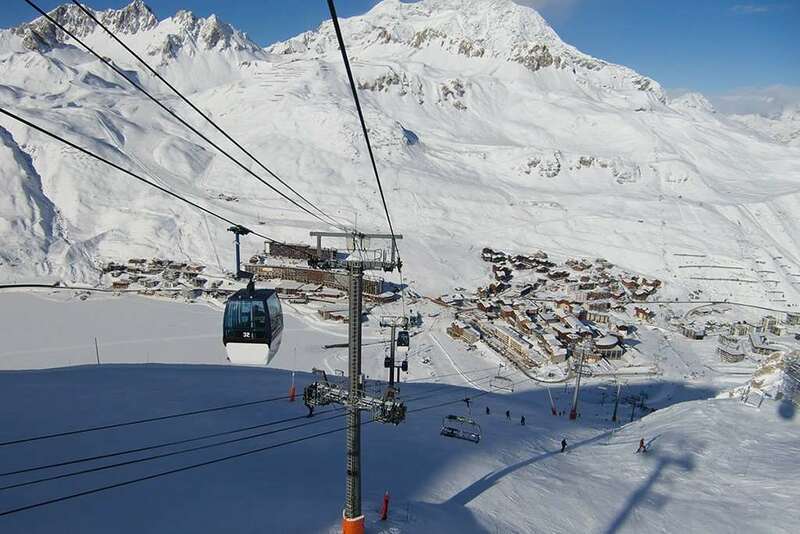 The position of the Chalet in Tignes Les Lacs gives you great access to the Espace Killy ski area, with skiing down to the Chauvin and Paquis lifts from a nearby piste, enabling you to easily access skiing on both the L’Aiguille Percee side of the resort and over to Val d’Isere. There is a big dining area on the bottom floor of the chalet, allowing guests to interact with each other in a comfortable environment. The Alaska is a great chalet for groups looking for good value catered accommodation." A conveniently positioned chalet in the range in Tignes, the Alaska is within just two minutes walk of the piste. Put your skis on here, and you can ski straight down to the Chaudannes and Paquis 6-man high-speed chairlifts, giving you a choice of heading up either side of the ski area to start your ski-day. At the end of the day, you can then ski back to the same point for the shortest walk home. Built into the hillside, the chalet is cleverly designed over several split levels, and offers a warm and welcoming atmosphere in its wood-panelled living areas with an attractive traditional stone fireplace. 2017/2018 Ski Season - canapés and an apéritif will be replaced with a glass of Proseccco. I stayed in the Alaska a few weeks ago and had an amazing time! The Chalet staff were lovely and made a huge effort to make our stay comfortable. It was one of the guests Birthdays while we were there and they made the day really special for her. The rooms were always clean and were of a good size. The living space was nice and big and light with great views of the mountain. There were loads of extra activities that we were able to book on that I had no idea about even though I had stayed in Tignes before. I would definitely stay here again! The property was exctly what we expecting in terms of fulling decked out with pine furniture and comfortable leather sofas. We stayed in Room 10 at the top of the chalet and it was fine for the week. It was fairly basic - 2 single beds, 1 bed side table, a wardrobe and a small bathroom. It was small and basic but we were there for the skiing rather than sleeping! The chalet had a 'hottub' which left a little to be desired! It could fit a maximum of 5 and it was like sardines in a tin but probably worth it after a day on the slopes. The rest of the communal area consisted of a large dining area with wooden tables and chairs, a couple of leather sofas to seat 6/8 and then a plasma TV on the wall with a range of French and English channels which was enough. The staff were brilliant over the week and the food was top notch. A full 3 course meal plus wine and nibbles as well. The location was pretty good too. A red run ran past about 100 yards up the road so it was a nice quiet ski down to the lifts first thing. Overall we were really pleased with holiday. Staff were friendly, room was basic but acceptable and chalet had everything you need. Would definitely recommend it!